In April of last year, Pope Francis illustrated the seven areas on which the reform of the Catholic priesthood should concentrate. All the areas in which the life of a Catholic priest should improve reflect vital challenges stemming from an honest embracing of the spirit of the Gospel. The first area is the taking up of a simple lifestyle. It is followed by a call to integrity of coherence between what is preached and what is practiced in daily life. The third area is the one of being truly accountable without harboring feelings of entitlement to privileges and exemptions. In imitation of Christ Jesus, Catholic priests, then, are to see their mission as one of service combined with concrete distancing from any use of clerical power. The last three areas are also significant: to minister to their flocks with profound mercy and compassion, to celebrate the liturgy with the real inner spirit that is required and to be true evangelizers rather than administrators. In his 1990 Apostolic Exhortation, Pastores Dabo Vobis, Pope John Paul II points out that the core of the Catholic ministerial priesthood is the one of standing and acting “in Persona Christi Capitis” (in the Person of Christ the Head). Among the many services provided to humankind by the Catholic Church, the one of physicality cannot be overlooked because it is a direct and forceful reminder of the Incarnation. Physicality was fully displayed in all that Jesus said and did. Physicality was meant to remain with humankind until the end of time to assure us that God is truly Emmanuel, truly with us also in ways that affect our senses. From the first time Jesus sent his disciples out to continue his mission of total restoration to the original order of creation, physicality has been destined to become a most forceful channel of the divine reaching our human miseries. So, even now, and until the end of the age, physicality is exercised whenever his Grace transforms us through the Sacraments. The Incarnation of our God is, thus, to be forever the way in which the unfathomable exchange of divinity with humanity and of humanity with divinity occurs. Our Lord Jesus Christ is forever and ever God. But Our Lord Jesus Christ is forever also a man. 1 Timothy 2:5 For there is one God. There is also one mediator between God and the human race, the man Christ Jesus. For all eternity he has a real, physical (see John 20:20 and Luke 24: 38-43) although glorified body. Now, the essence of physicality demands not only a direct impact on our senses, but also immediacy of association between the physical means chosen and the divine reality that they impart. For example: the sight of water been poured at Baptism and the washing away of sins; anointing with oil and the healing or consecration or power that oil brings about, and so on. 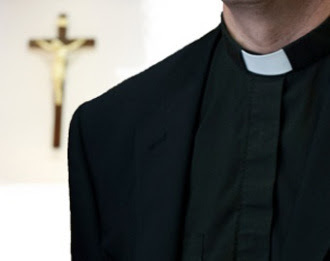 This immediacy of association has to apply also to those (priests) who act “in persona Christi Capitis.” A man ordained to the Catholic ministerial priesthood has to be immediately associated with the man Jesus Christ; the sound of the words: “I absolve you of all your sins”spoken by a mortal man empowered by the Lord must be immediately associated with the eternal High Priest who takes away the sins of the world. It seems to me that, in proposing his suggestions on the areas where priestly reformation is greatly needed, Pope Francis intends for the association between priest and Jesus Christ to be not only immediate but also much deeper and resulting in Catholic priests who are holier and more Christ-like. In subsequent blogs, I will attempt to reflect on each of these seven areas of priestly reformation with particular emphasis on the way they make their demands on a priest called also to be acting “in persona Christi capitis” in mission lands. Next StoryMoney: Servant or Master?